Xerox Cyan Toner Cartridge for Phaser 6250 series printers. 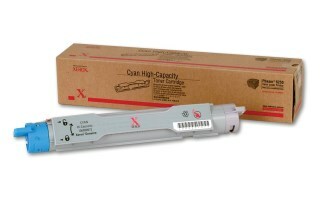 Xerox Cyan Toner Cartridge for Phaser 6250N, 6250DP and 6250DT. Prints approx 8,000 pages @ 5% coverage.